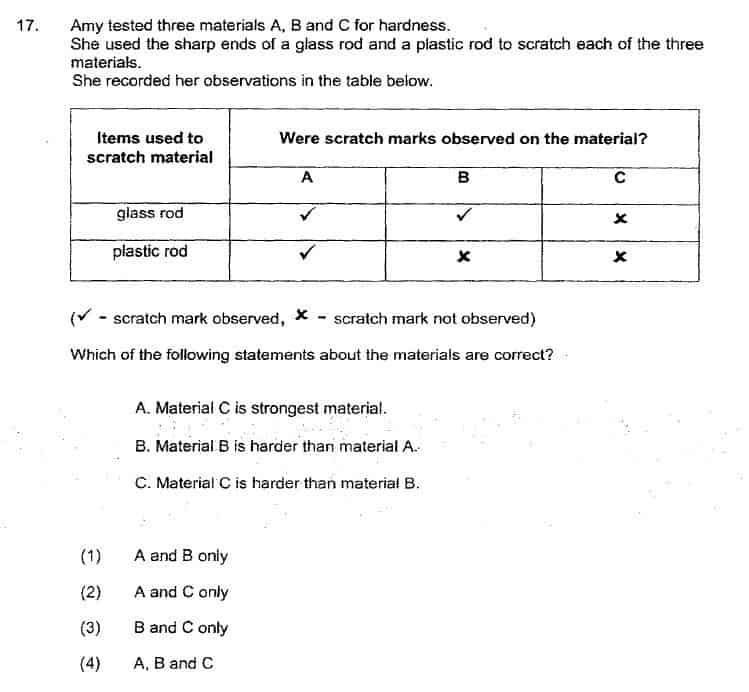 Answer key is (4). Can help to explain ? We thought (A) is incorrect because it states “strongest” not “hardest”. My opinion is that it is poor wording.